Includes 1 Allworx Reach, unlimited Allworx Interact, 1 Allworx Interact Professional, and 12 generic SIP device licenses. Allworx Connect systems take the battle-tested reliability Allworx to a new level of performance. Allworx Connect packs in enterprise-grade business phone features in an affordable package. Designed for companies with up to 180 users per site. 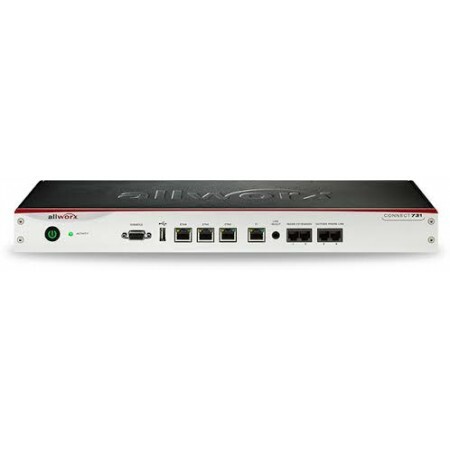 Includes a base of 30 users, 3 Gigabit network ports, 2 FXO ports, 2 FXS ports, built-in T1 port, and 15-port voicemail with unified messaging. Supports up to 60 concurrent external calls. Includes 1 Allworx Reach, unlimited Allworx Interact, 1 Allworx Interact Professional, and 12 generic SIP device licenses.